We’ve got your Easter Holidays wrapped up (get it? As in Easter eggs!!) 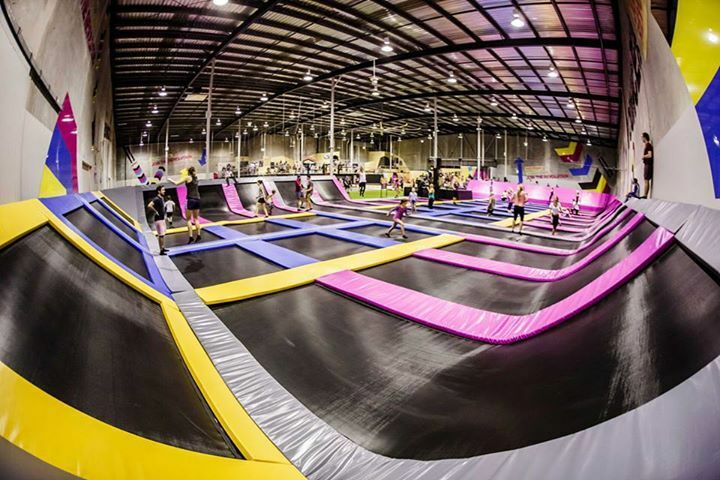 with our fun guide to what’s happening in Melbourne and Sydney. Get out and about (and work off all that chocolate) and enjoy the last of the warm weather while it lasts with these ideas! Get your dancing shoes on and head to the Princess Theatre to see Matilda The Musical. Inspired by the book by Roald Dahl, Matilda The Musical has received rave reviews from around the world and is definitely a must see this Easter! Hop to the Easter Fun Day at Rippon Lea House & Gardens on 27th March with fun for all the family including Easter egg hunting, outdoor games and activities. Make the most of the beautiful surroundings and take along a picnic, you can also look around the stunning interior whilst you are there. Don’t forget, if you are a National Trust member entrance is free! There are a range of workshops available for all ages at The Powerhouse Museum including Minecraft, lego, stop motion and even a YouTube crash course for those budding stars! Children under 16 and members of Museum Australia are free to enter but you have to book and pay for the workshops in advance. Head over to the harbour Easter long weekend and take part in an Easter egg hunt like no other at Watson’s Bay Hotel. They have an Aqua egg hunt taking place on the beach on Easter Sunday where your finds will be exchanged for chocolate! There’s plenty to do for adults and kids alike with great food, live entertainment, face painting and crafts available across the weekend. Our jewellery making parties aren't just for birthday's - You can book your very own private jewellery making workshop for your daughter and her friends to get creative these holidays. Special offer! Book a workshop these holidays and we will throw in a double pass to the movies!! Use this code "16EASHOLS"
Whatever you do make sure it’s EGGcellent!! Are you on the lookout for the best swoon-worthy cake for your upcoming kid's birthday party? Then a visit to Katherine Sabbath's amazing world of cake heaven is a must for any Mum who's up for the challenge of recreating one of her amazing works of cake-art. 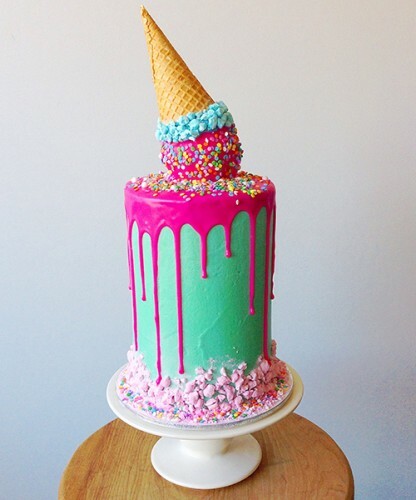 layers upon layer of pretty-coloured sponge & toppings that make your heart jump with joy. 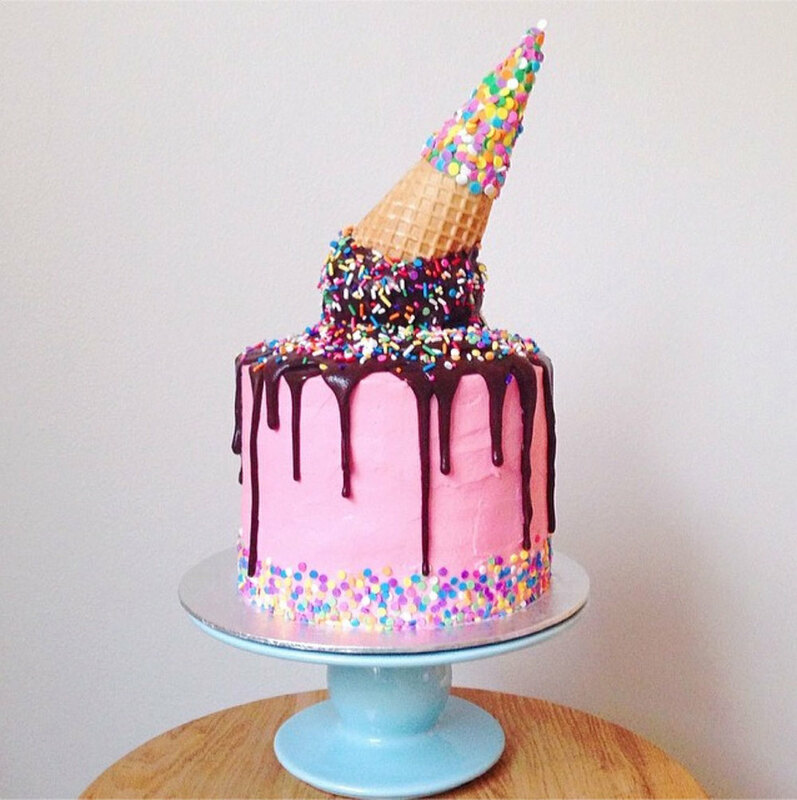 And Sabbath's famous upside ice-cream cone cake is a one-of-a-kind show stopper! With these endless cake-decorating ideas you are spoilt for choice for your kid's birthday cake! so give yourself plenty of time if you plan to have one ready for your kid's party! The amazing high-school teacher, turned self-taught cake-maker extraordinaire, has built a massive following on instagram while the world awaits the launch of her website this year. Visit her instagram feed (that now tops 100k followers!) 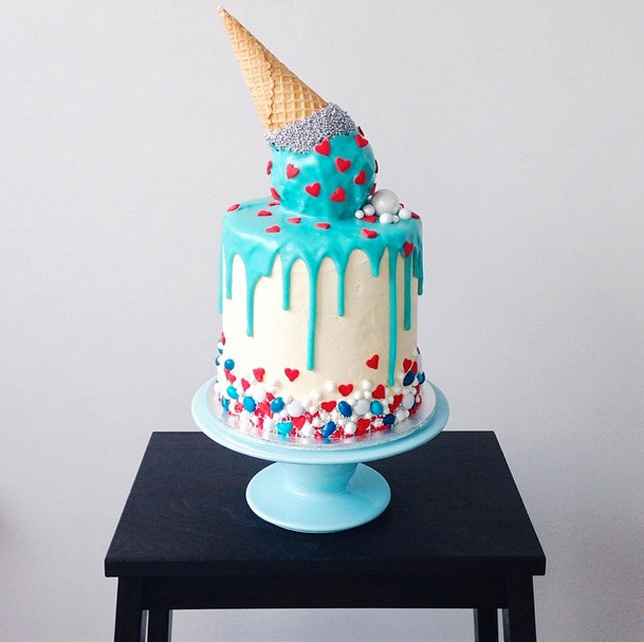 for the coolest cake-inspo around. Oh, and if you successfully recreate one of Sabbath's cakes & upload to Instagram, you may be one of the lucky one's that she regrams - how cool would that be! Autumn really is here to stay and the change of season welcomes so much goodness. That crisp evening air has Pretty Little Things dreaming of hot chocolates (with marshmallows of course! ), falling leaves and new season apples. Perfect weather for a woodsy themed party, don’t you think? We’re feeling inspired by event planning company fire and creme’s whimsical little fairies in the woods. Just imagine a bunch of busy fairies making jeweled necklaces and headpieces in an enchanted backyard! But best of all, autumn also means… Easter! We stumbled across a super easy recipe that combines this woodland theme with our undying love for chocolate. Meet Bakerella’s Chocolate Bunny Bark, a quick and easy party treat that can be made in advance. What we love most about Bakerella’s kid-friendly recipe is that it lets you and little helpers customise your bunny bark - candy can easily be substituted for dried fruit, nuts or whatever yummy sprinkly bits you prefer. So click on the links and hop to it! Memories of being a little girl are of the brilliant weekend birthday parties. It was a magical time where being a fairy didn’t just mean donning pantyhose covered wire hanger wings. No no! Each child at the party would spend hours on glitter placement, covering their gumboots in blue faux fur (to make cat feet, of course) and amazing goggly eyed headband creations that could only mean one thing: today, you possessed the powers of an outer space alien! Kids haven’t changed a bit. Yes, of course, the costume on the internet looks more lifelike and, yes, perhaps homemade costumes take more time, creativity and patience. However the pride taken in a costume you’ve made yourself beats looking like everyone else, hands down, every time. Imagining, making and creating are some of childhood’s great luxuries. 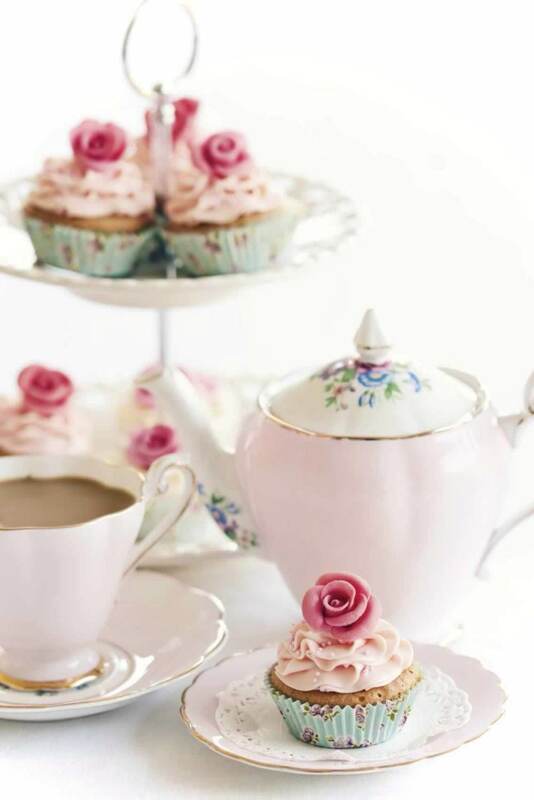 A Pretty Little Things Pearl Party is another way of adding to the perfect themed dress-up party. A Prince or Princess may arrive with a crown, but how fitting would it be for them to leave with their very own royal-worthy jewels? Now hiring creative Mum's or individuals to host kids jewellery making parties in Brisbane.